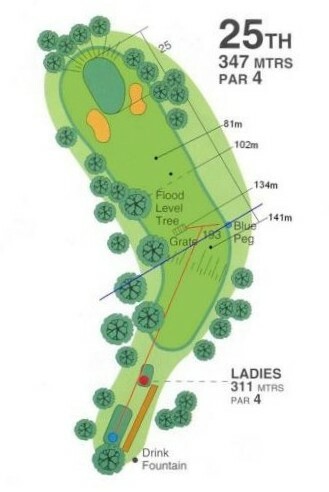 For this 347m Par 4 dogleg to the left, a well placed tee shot is required. A 3w or long iron is all that is required aimed at the middle of the fairway. This will leave a short to another well bunkered green.